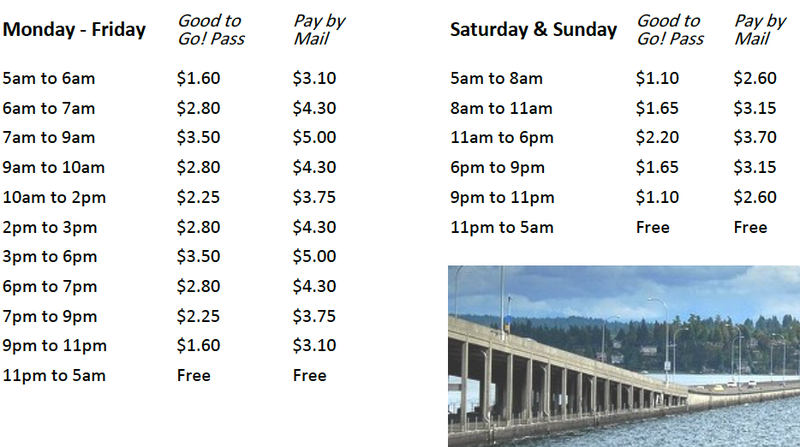 THE 520 BRIDGE TOLL IS FINALLY IN PLACE! While some appreciate the quicker commute, most are adding up the dollars they are spending. To save money and time, a Good To Go Pass is handy even if you don’t cross the bridge often. If you haven’t gotten a pass already, it can be purchased at certain locations of QFC, Costco, Fred Meyer, Safeway and Walgreens.